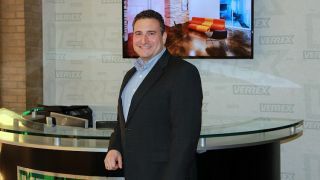 AV and UC technology solution and experience provider Verrex has added George Maniatis to the company as sales account executive based in Wilmington, MA. Maniatis will contribute to the company’s enterprise sales initiatives by delivering Verrex’s portfolio of conferencing, collaboration, video, and sound solution expertise to clients throughout the New England region. He will focus on AV system design/build, service, and support solutions. He joins a team led by Verrex vice president of global sales, Bill Chamberlin, CTS. Maniatis joins Verrex with nearly 20 years of AV sales experience. Career highlights include senior account manager at AVI-SPL and technology sales consultant at Red Thread. Maniatis holds a Bachelor of Science in business administration from Northeastern University in Boston. Maniatis is based at Verrex’s Boston office, part of the company’s global workplaces that include New York, Boston, Houston, Los Angeles, London, Hong Kong, and Shanghai.